Two-way marketplaces are everywhere these days. From Uber to Airbnb, these mutually beneficial platforms have been dominating the market lately. The fundamental rule for creating a successful two-way marketplace is demand, as an idea cannot thrive without it. Here are a few helpful tips for creating demand in a two-way marketplace. Identifying your audience is a crucial part of the beginning stages of creating a two-way marketplace. The type of two-way marketplace you want to create will essentially lead you to your audience, and vice versa. Something like Special Guest, a talent booking app that lets people book performers for various parties and events, would have an audience that largely consists of different types of talent. The Special Guest app is a great example of a two-way marketplace that recognized a demand for a certain service and was able to establish audience loyalty through that. Once you have identified your target audience, you will have a better understanding of your two-way marketplace and you’ll be able to build from there. The only way people are going to know about your product is if you promote it like crazy! Getting people excited about your two-way marketplace is easier than you might think, all it takes is passion, hard work, and creativity. Social media will be your best friend during this process, particularly Instagram. Using Instagram allows you to share engaging and exciting content in a hyper-visual way that draws people in. Building a following on social media can really help get your name out there, and you’re more likely to gain fans when they can actually see your product, rather than just hearing about it. A company that has nailed the Instagram game exceptionally well is Airbnb. Airbnb’s Instagram feed is full of stunning photos of Airbnbs around the world that are available to rent, instantly capturing the attention of people scrolling by. If you aren’t already using social media to promote your two-way marketplace, you should ASAP. The reason why two-way marketplaces like Uber and Lyft are so successful is because they each present a solution to a problem. People need to get where they’re going, and these platforms provide that. This is also why vacation rental platforms like Airbnb have become so successful. Before Airbnb, your only options when going out of town was to either stay in a hotel, which could get pricey, or if you’re lucky, stay with friends or family. Airbnb allows travelers to book affordable overnight accomodations wherever they are, eliminating the need to book an expensive hotel room. 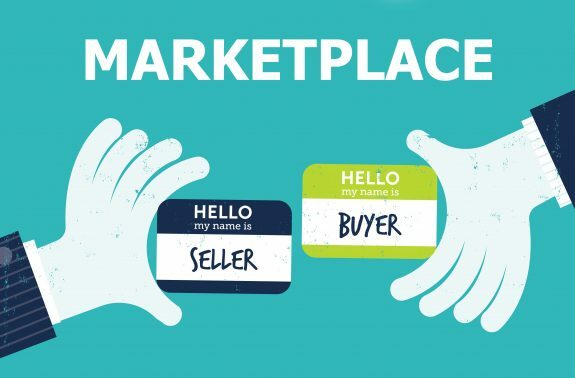 If you can identify a hole in the market that your two-way marketplace can fill, you’ll be on your way to success in no time!